LA Lakers last night (and was a plus 24) as the Lakers walloped San Antonio 101-71. Kobe's crew is up 2-0 in the Western Final. Only 14 of the 222 teams to fall behind 2-0 in best-of-seven NBA playoff series have come back to win, including the Spurs in their second-round matchup with the New Orleans Hornets. So, don't count out the defending champs! Kobe turns 30 in three months on August 23. The next day, August 24, my wife has a birthday! We also celebrate our 20th wedding anniversary on August 13! In two months, July 24 - 27, the BC Summer Games come to Kelowna with more than 2, 700 young athletes participating in our province’s largest multisport competition for developing athletes. Tonight, game one of the Stanley Cup Final takes place between Detroit and Pittsburgh. I am picking Detroit to win it all 4 games to 2. Both teams have a #24 in the lineup. The Red Wings' Chris Chelios has played more NHL playoff games in history than anyone with 260 while Pittsburgh's Kris Beech only played 25 games in the regular season divided among three teams. He has yet to skate in the postseason. Shaw-TV and here is a link to how the WHL playoffs went. By the way, the Kelowna Rockets started here in 1995 after moving from Tacoma, Washington. We were the 2004 Memorial Cup champions! To my friends and colleagues in the US, I would like to wish you a nice and meaningful Memorial Day on Monday, May 26.
f-bomb on a live newscast promo, and was glad there was no audio link - just a visual link from the New York Times. While reading the latter, I noticed the New York Times' link to their Fashion and Style section and the article Where Ralph Buys Blouses. Last month, Karen Commins' blog, A Voice Above The Crowd, tied in "Dancing With the Stars" with 12 valuable lessons that can be applied to a voiceover career. Read the post here and be inspired to new heights in your voiceover career! Want to Be a Working Voice-Over Actor? There is always room for excellent new performers who will risk and take the chances to allow their creativity to come through. By the way, I predict "Dancing With The Stars" runner-up, Jason Taylor, will have a great voiceover career as a football analyst once his playing days are done. No doubt, there were plenty more in the running. In fact, the Mike Lange Tournament of Quotes recently took place. Mike also grabbed the top spot on a recent list of the 5 Best Announcers In Sports. For us Buffalo Sabre fans, enjoy these Top 10 Rick Jeanneret Calls. D and P WILL meet in the Stanley Cup Finals. The Western Conference Finals have Detroit and Dallas battling it out. Game 3 goes shortly with Detroit up 2 games to nothing. Dallas has won four of their last five home games and hopefully for them that streak continues. The Eastern Conference Finals have the battle of Pennsylvania with Pittsburgh up 2-0 in games against Philadelphia. Philly has problems on "D" right now: missing 2 key defensemen, Kimmo Timonen and Braydon Coburn. Last week at the Dallas Zoo, an animal considered to be the world's oldest living gorilla in captivity celebrated her 55th birthday. Jenny the gorilla enjoyed a frozen fruit cake and banana leaf-wrapped treats at her wooded home in the complex. Her caretakers say that Jenny, about 210 pounds, has a few joint issues and her eyesight isn't what it used to be, but she still looks good for an old ape. In the wild, gorillas normally would live to about 35. In today's new Sports Illustrated it says: Michael Jordan has a nickname for Larry Brown, his new Bobcats coach: Seabiscuit. Brown and Jordan were playing golf with Roy Williams and Jerry West, and Jordan saw brown's peculiar gait as he walked down the fairway - Brown, 67, has had multiple hip surgeries - and rechristened him after the famed horse. Saluting BEER and The BEE! 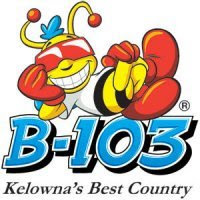 B-103 - Kelowna's Best Country. They were my #1 client last month in terms of revenue! My next "sessions" there will be tomorrow (and every Saturday from 1 - 5 on the air) and Sunday (9 am to 1 pm). Independent Comedy Network imaging. This is the series I have done five intros for. One of my contacts there sent through this testimonial today: "Ralph was the first voiceover artist our company worked with, and he made the first-time experience seamless and smooth. His speediness and attention to detail was top notch! His vocal range was impressive, and most importantly he was a true professional, a genuinely nice person, and took our project seriously. We’ll definitely be using his services again soon. There’s no denying that Ralph HAS The Voice!" Just a note to let you know I am heading out on vacation and will be out next week. If Kari needs that order while I am gone I am pretty sure I can work something out. I put your check in the mail this afternoon so you should have it next week. Have a great week! !